Elsie O. Salter Lane McKissack, 83, of Milton passed away on Saturday, June 2, 2018 at her residence. She was born in Chumuckla, FL, the daughter of the late Earnest David and Beatrice Kathleen Salter. 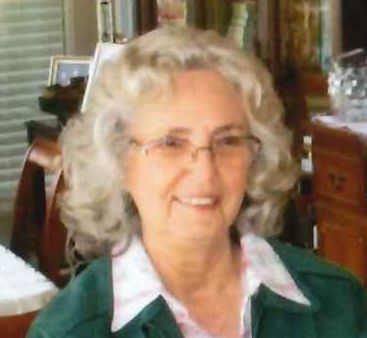 Elsie was an employee of Santa Rosa County District as a bus driver until her retirement. Upon retirement, she moved to Wing, AL where she lived for a number of years. She was a former member of Bible Baptist Church in Pace and Bradley Assembly of God Church in Wing, AL. For the past several years, she faithfully attended Rock Creek Assembly of God Church. Elsie had a great love for children, always thinking of giving to St. Jude and other charities. She spent many days sewing/embroiding, making quilts and spreads for her children, grandchildren, and great-grandchildren. Gospel music was another one of her favorite things. She loved the old gospel hymns. Elsie was preceded in death by: her parents; brothers, Ernest Eugene Salter and Clifton David Salter; husband, Horace Lane; son, Larry Lane; and granddaughter, Stacey Lane. Survivors include: her husband, Bobby McKissack; sons, Jerry (Lani) Lane and Jim Lane (Crystal); grandchildren: Daniel (Emma) Lane, Joe Lane, Jeremy Lane, and Audrey (Tim) Arant; great-grandchildren, Alexis, Mason, and Haley Lane; and many other family members and friends. Trahan Family Funeral Home of Milton, 6539 Trammel Dr., is in charge of arrangements. Visitation will be held from 11:30 a.m. until the funeral service begins at 12:30 p.m. on Thursday, June 7, 2018 at the funeral home with Rev. David Elliot and Jean Spikes officiating. Burial will follow at Elizabeth Chapel Cemetery in Chumuckla. Pallbearers are: Joe Lane, Daniel Lane, Jeremy Lane, Harvey Perritt, Mikie Lane, and Ricky Elliot. Honorary pallbearers are: Thomas Earl Elliot, John Holloway, and Glen Coxwell. Service may be viewed at http://Milton.ChristianWorldMedia.com. To send flowers to the family of Elsie O McKissack, please visit our Heartfelt Sympathies Store.